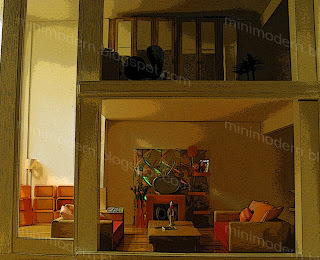 I redid the Living Room, Loft and Master Bedroom in the Malibu Beach dollhouse. I'm also working on another room for the second bedroom but not quite finished. I will post images later this week.